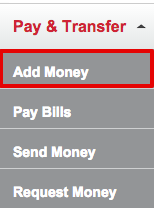 Sign-in to your REDcard account and select “Add Money” under “Pay & Transfer”. Select “Set Up Scheduled Add”. 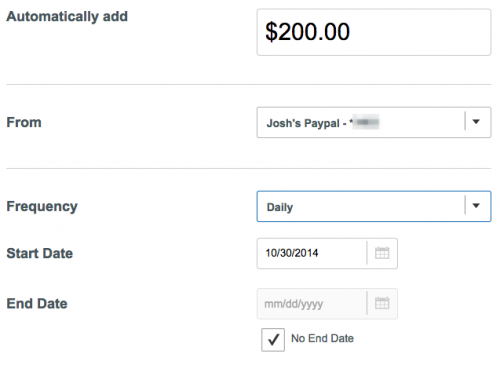 Enter how much you want to add each day (I suggest $200). Enter where you want the money to come from (I suggest your debit). Enter the frequency (I suggest daily). Finally, enter the start and end date (I suggest having no end date). Click “Submit” and that’s it! Your account will add $200 from your card every day until you hit the $1000 max.